There is nothing quite like the bond shared between siblings. That is why SOS Children’s Villages makes all possible efforts to ensure that siblings stay together and do not lose this bond. To celebrate National Siblings Day on April 10th, meet Haneen and Hayat* – two siblings who, along with their brother, were able to stay together under our care. As young girls, Haneen and Hayat were like many twins, always following each other’s lead. When one would get sick, the other would catch the same cold the following week. If one did especially well in school one week, the other would do better the next. 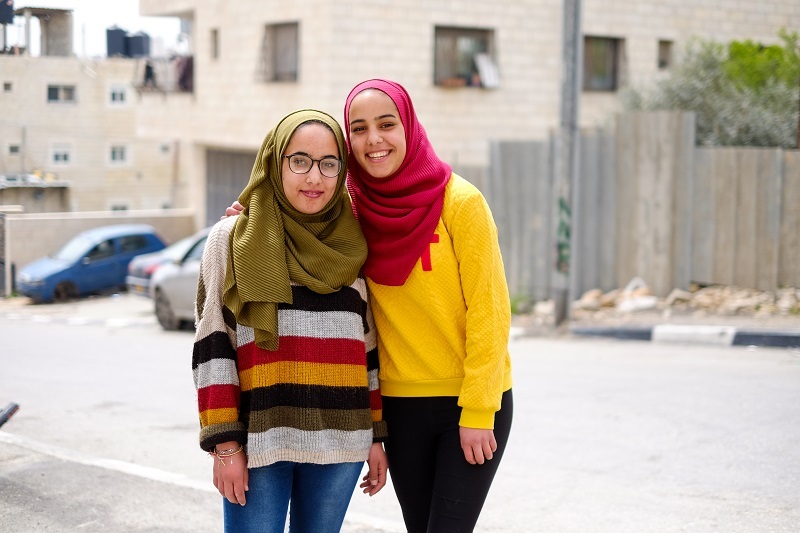 After losing their mother at the age of three, and with their father unable to care for them, the sisters came to the SOS Children’s Village Bethlehem in the West Bank. In the Village, the siblings – including their five-year-old brother - all grew up together with SOS mother Ensherah. SOS mother Ensherah, who has raised 38 children in her career at SOS Children’s Villages Palestine, says that when children lose the care of their biological parents, it is essential that siblings stay together. “It creates a strong bond that will last a lifetime,” says Ensherah, an SOS mother for 18 years. “They feel they’re there for each other.” Growing up separately only serves to widen the differences and may strain relations later in life, she explains. Their close relationship has helped the girls, now 16, overcome some difficult times in their lives. They have now been reunited with their father and live with him and their stepmother. During their visit, Haneen and Hayat prepare a lunch of traditional Palestinian rice and salad with Ensherah. Around the table are new children under Ensherah’s care: three siblings and another little girl. 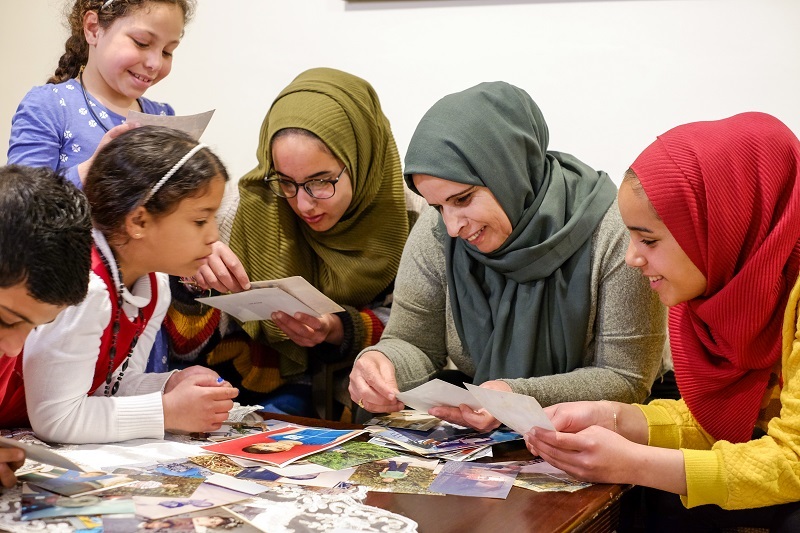 Haneen and Hayat spend the afternoon playing with the kids and reminiscing through family photos. Hayat says she could not imagine growing up in a household away from her sister. “We wouldn’t love each other as much as we do now if we were apart,” says Hayat. Their close relationship has helped them since moving back with their father and stepmother. “It is true that there is a difference between the life of my family and life in the Village,” says Haneen, “but I am so happy to have two families that I love – and where I feel comfortable."